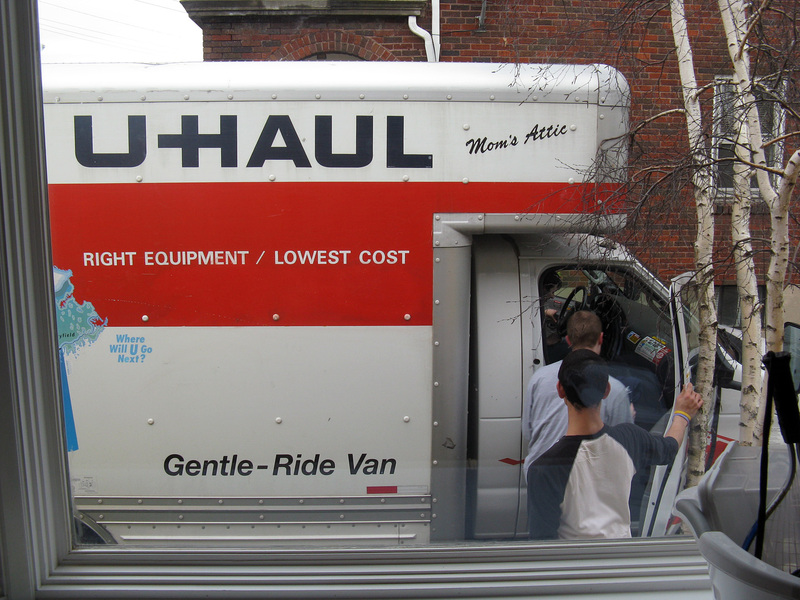 As we have now lived in our house for quite some time, we have made considerable progress in unpacking, settling in, and slowly making the necessary renovations. Who said there’s no grass in Arizona?!?! 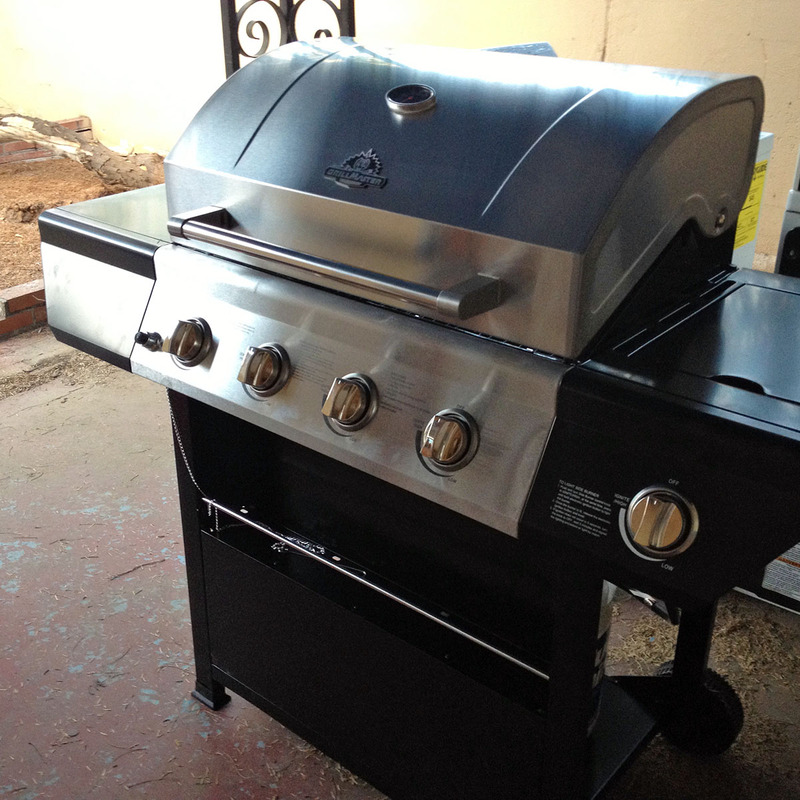 Our first house purchase was a grill. We bought it and put it together on the day we moved in. Priorities, people. 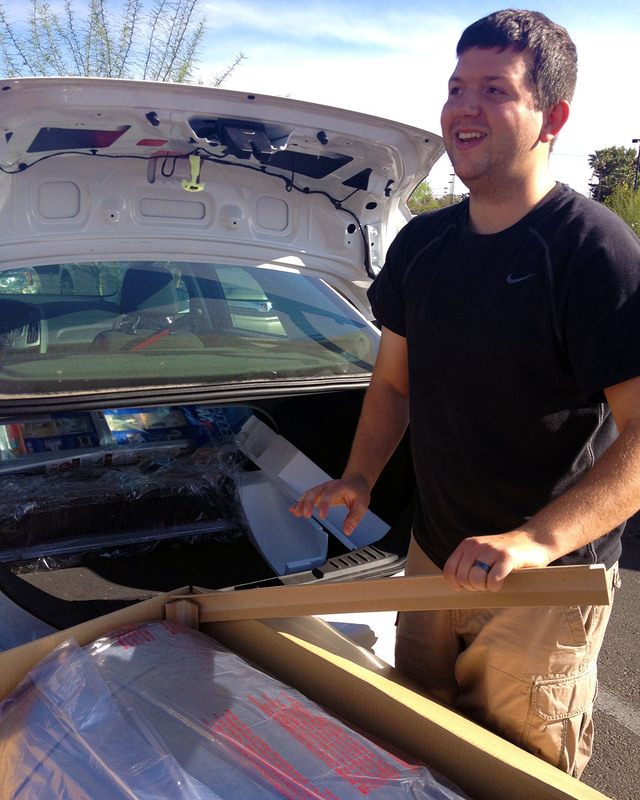 After some un-assembling, it did fit in the back of the Focus. We unpacked faster than I think we ever have. I guess that’s what having all your possessions in boxes for 10 months will do to you. 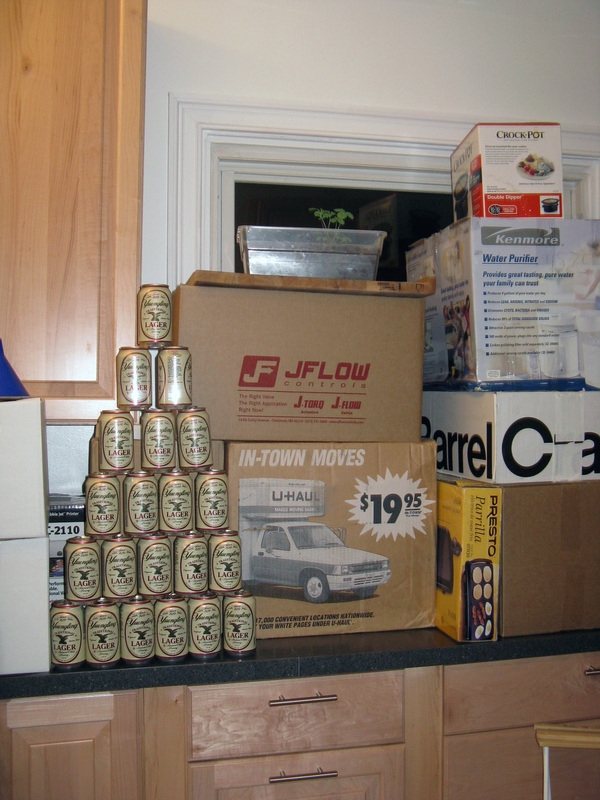 Within a few weeks we had every box unpacked. 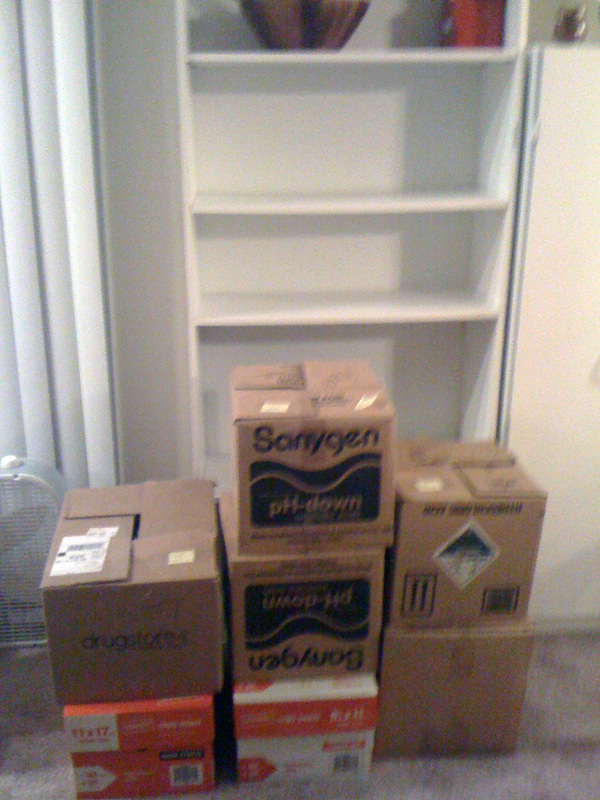 Not that everything had found it’s final home, of course. I am a perpetual reorganizer. Nothing is ever in it’s final home. 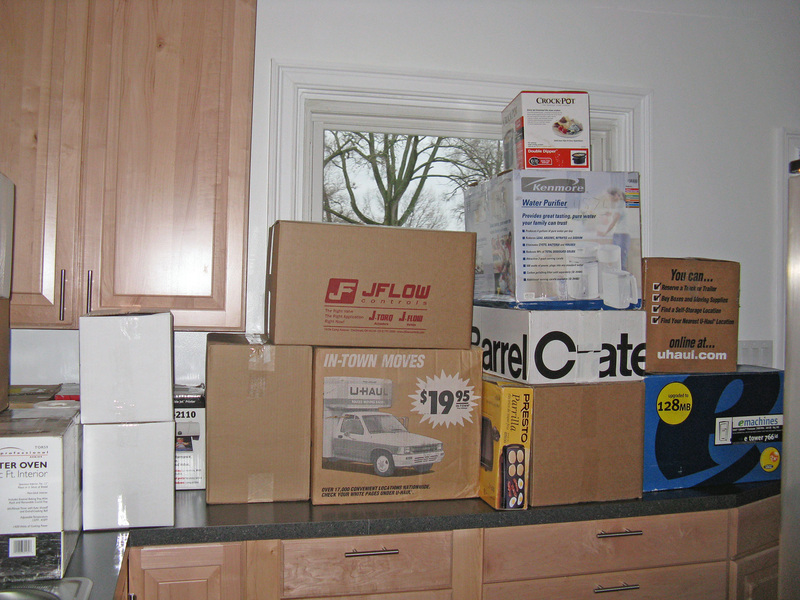 And we put the boxes on craigslist and they disappeared in a few days and, for the first time in my life, I do not have a stash of moving boxes just-in-case. And I am not sad about that one bit. Nate’s sisters came down in May to help us and we managed to get quite a lot accomplished while they were here. 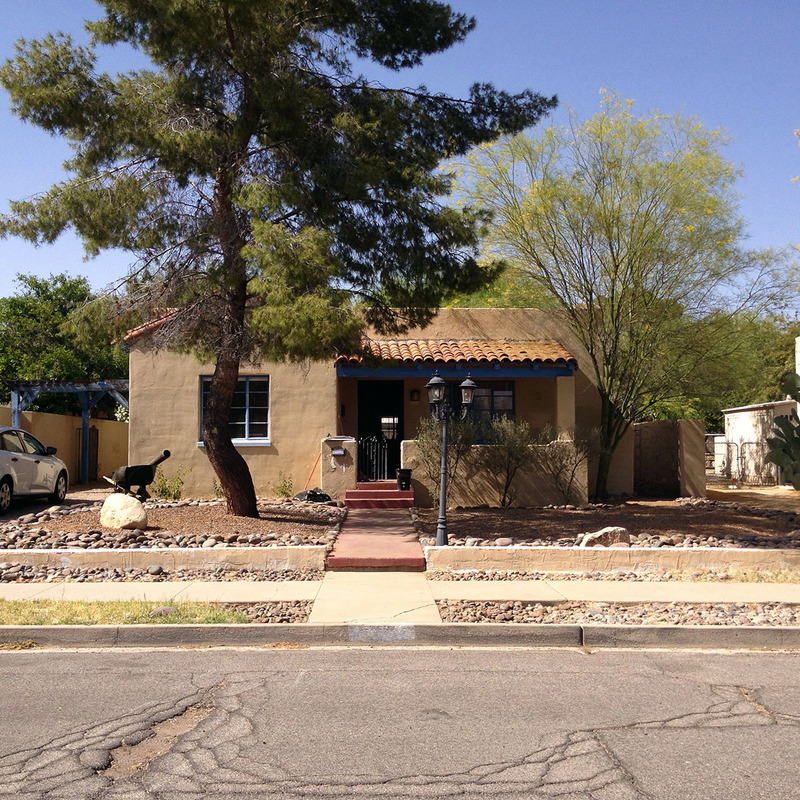 One lie they tell you about living in the desert is that you do not have to mow. Which is not a lie, per se, but it is certainly a mischaracterization that your yard work will diminish significantly. It does not. 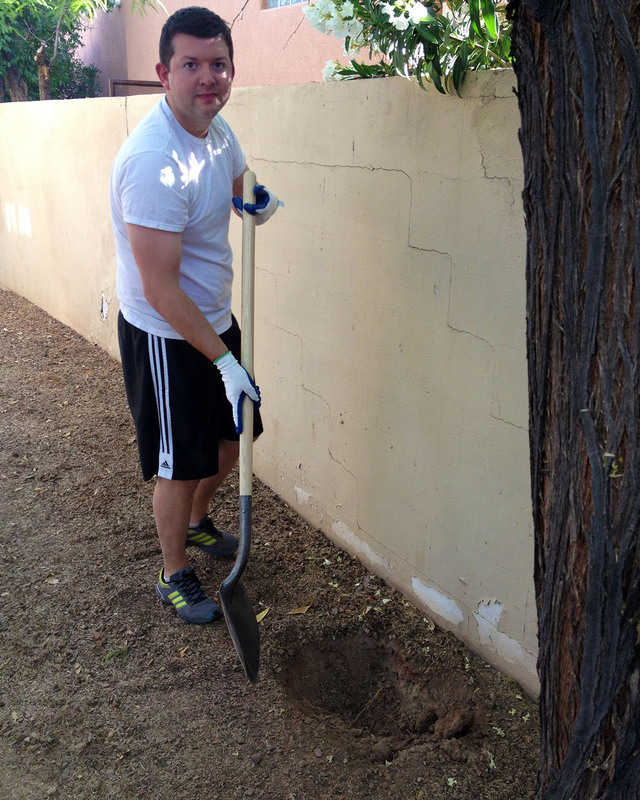 And our yard was in need of some serious help. They very patiently spent hours moving rocks, pulling grass, laying landscaping fabric, and moving rocks back in an attempt to turn our front yard from jungle to presentable. After HOURS of hard work. 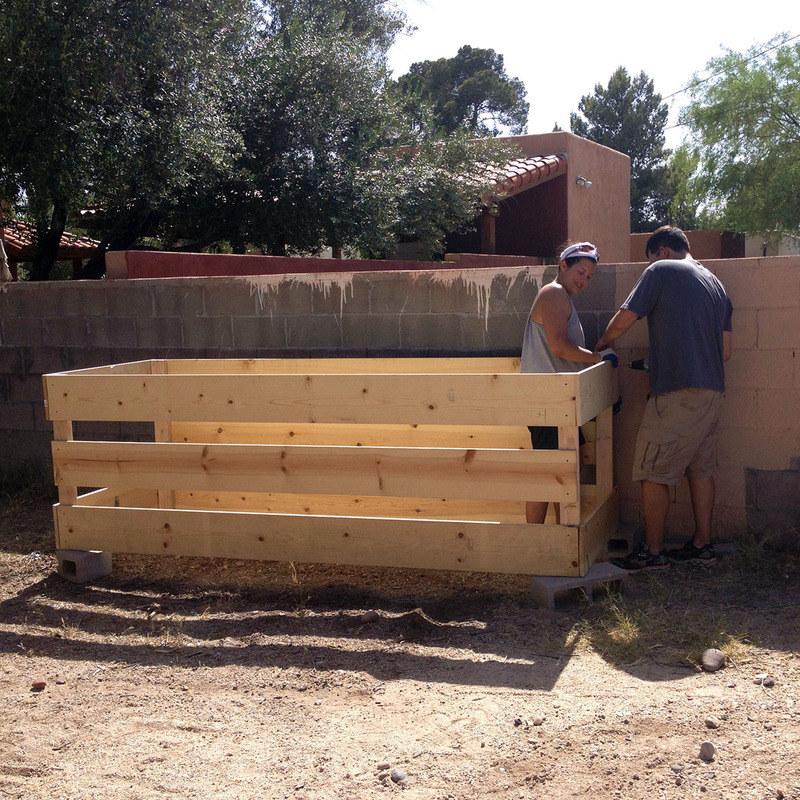 We also bought and assembled patio furniture (another one of our favorite places to hang out) and built a compost bin. A very sturdy compost bin, but one with many advantages over the last one we built – practice does make perfect (or at least better – I’ll get there some day). One day I will do a tutorial about all the things I have learned about how (not) to build a compost bin. The most important thing they did was to discover a leak in our plumbing. 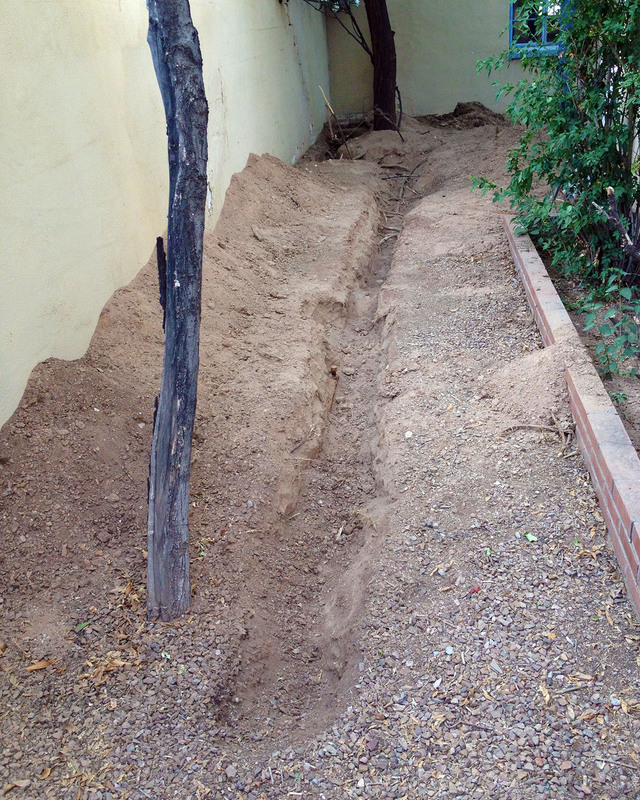 The water pipe going to the guest house had sprung a leak in a corner of the yard that we never go to. Who knows how long it had been there, or how long it would have been before we discovered it, especially since we didn’t have a base water bill to compare to. After driving them to the airport, we started a weeks-long (at least that’s how it felt) project of trying to dig up the water line. Ground in Arizona is like concrete. Seriously. Nate came home from work one evening to find me sweaty and exhausted in the back yard and asked me if I had a nice run No. I had been digging for at least an hour, but you couldn’t tell because I only made the trench about an inch-and-a-half longer. After several plumbers came out and informed us that they couldn’t tie into the current pipe, we hired one to replace the entire supply plumbing from the street to the house and the guest house. Which took longer than expected (of course) and we spent quite a while turning the water on and off every morning to shower and evening to brush our teeth. Adventures. The total of our week of digging efforts. The pros brought in heavy equipment and knocked out the rest in half a day. Whomp whomp. With that having taken a significant bite out of our time and our bank account, we laid low for a while. And by laid low, I mean… Hi, have you met me? I don’t know what “laying low” means. 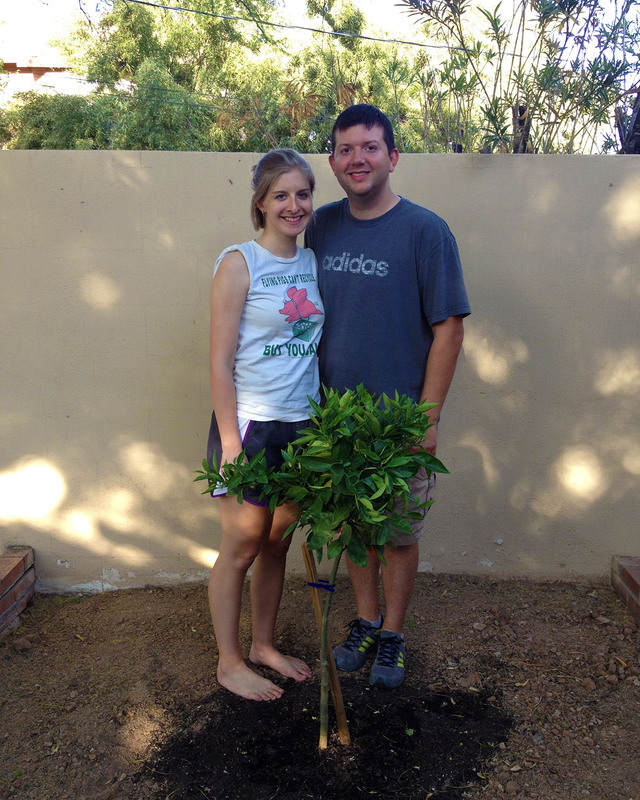 We bought an orange tree, named her Sunshine, and took family pictures. We also have a pet aloe plant named Simon. We are all doing well. I just came inside from taking the clean sheets off the clothesline. They smell so good I can’t wait until it’s their turn in the rotation and they go back on my bed. There’s something about line-dried linens that even the sweetest-smelling “fresh air” scent can’t compete with. 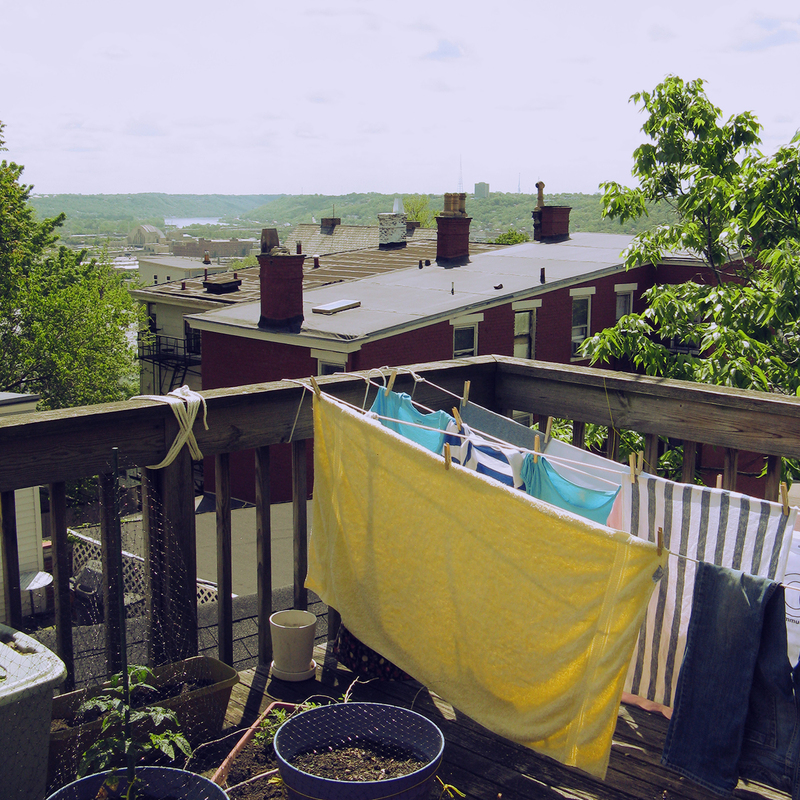 It’s my first clothesline since I strung up rope across my balcony in college – a make-shift option that was so cumbersome I only used it half the time. This time I strung rope between the posts of the rickety ramada in our back yard. 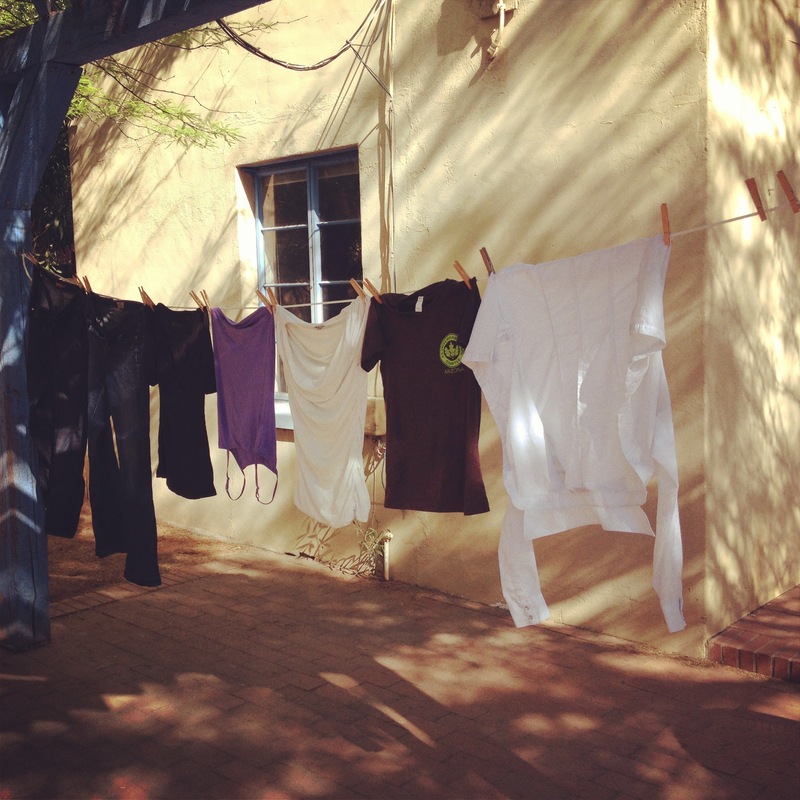 It’s a temporary solution, but it’s so freeing to see your laundry flapping in the wind, drying in the desert shade. This is probably going to turn into a home renovation blog. Sometimes unexpected things happen, right? And when something takes up so much of your life, it’s hard to look beyond it. We moved into a new house over Easter weekend. Thankfully we didn’t have any plans, because we ended up spending Easter afternoon cleaning our apartment so we could turn our keys in on April 1st. I drove to work in the morning completely exhausted, thinking that this must be a small glimpse into early parenthood, and knowing that I could catch up on sleep in the coming weeks. I was totally worthless at work, and ended up leaving early only to keep working at home to get our life back in order. Despite our 8 months of looking and our month and a half of negotiating/waiting for closing, we never really thought we were going to get the house. 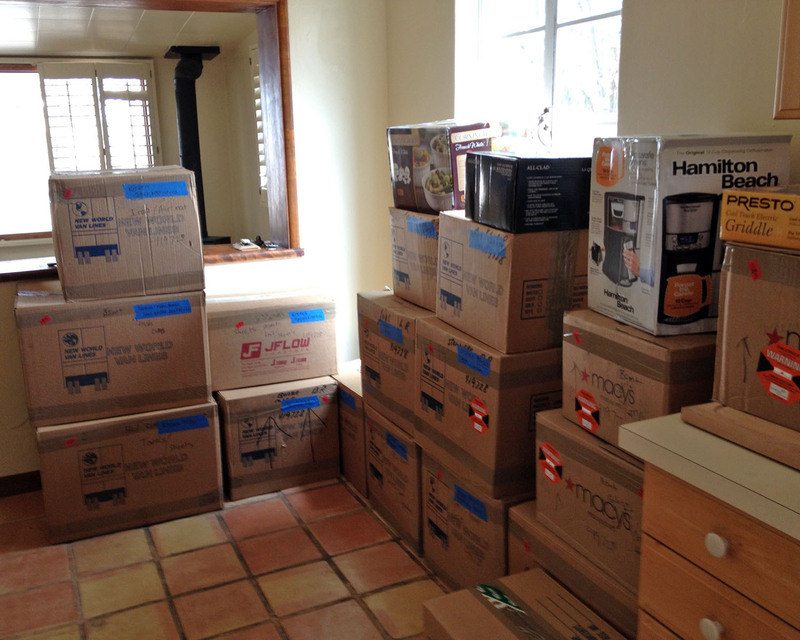 So on moving day, when our amazing help asked where to put the first boxes, I was stumped. I had no plan – none, whatsoever. I didn’t have a plan of what the spaces would look like when we’re finished, I had no idea where the furniture was going to go, I couldn’t tell you what colors I would paint the walls. We’re slowly working through the messes. The house isn’t in as good condition as we expected, although we did know we were getting a bit of a project property. I think I haven’t thought about aesthetics because we have bigger things to worry about. We’ve spent the past two weeks working on the house and on unpacking and organizing non-stop and, while it’s been tiring, it’s been great fun. 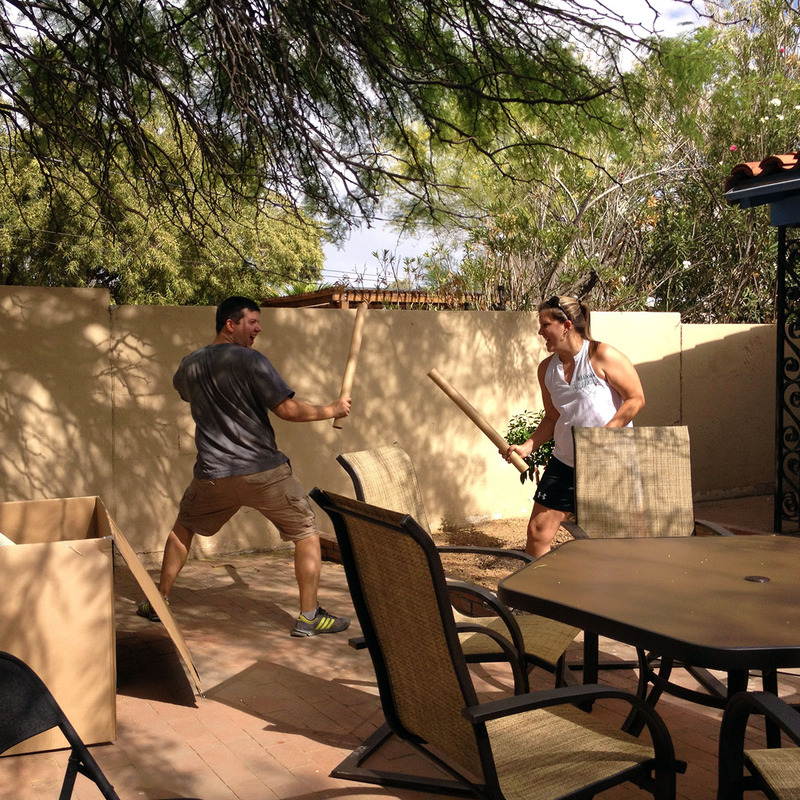 We work really well together until we get tired, and then we stop and enjoy the beautiful spring Arizona weather and our new back patio and rest for a while. Soon I hope we’ll have a porch swing to rest on, on the front porch of our lovely neighborhood, where we can meet our neighbors and start to feel at home in what we hope will be our house for a very, very long time. A few days before Christmas, Nate and I, with the help of so many hardworking friends and family, moved everything from our apartment to our new house. If you had asked me three months ago, I would have told you that no, thank you, I would not be buying a house in the near future. With interest rates predicted to be low for the next few years, many fine houses on the market at low prices, and uncertainty about what we would be doing, we were in no hurry. 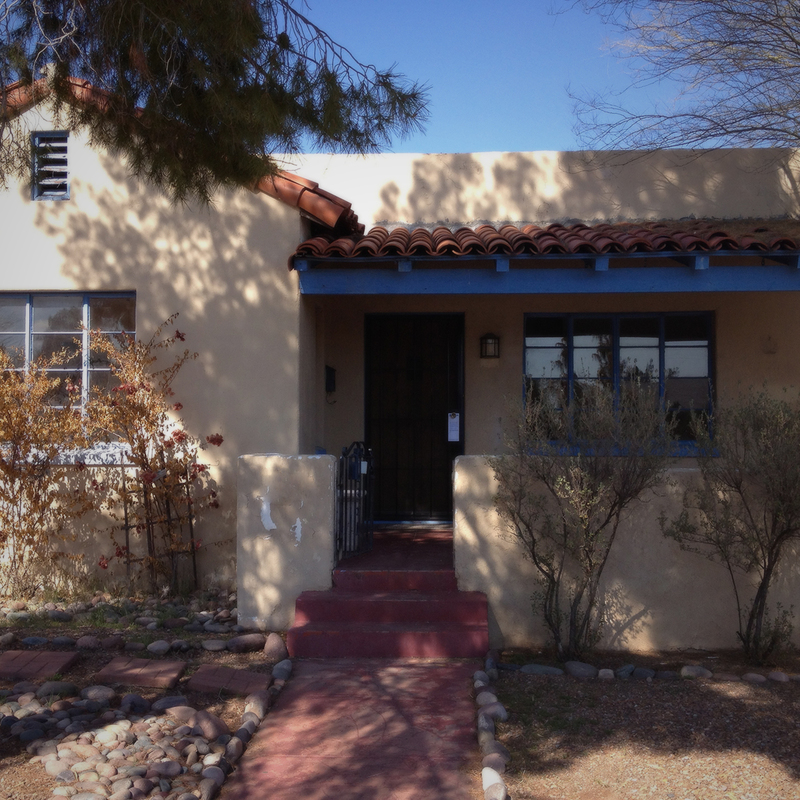 Then, after a short series of unfortunate events and a mini-freak-out from Nate about what he wanted to do with his life, we decided to rent a house near our apartment, stay for a few years, and reevaluate. Thus began the rental house search. It’s not an easy task, you see, to find a house that is nice enough that you want to live in it but ugly enough that you can afford it. 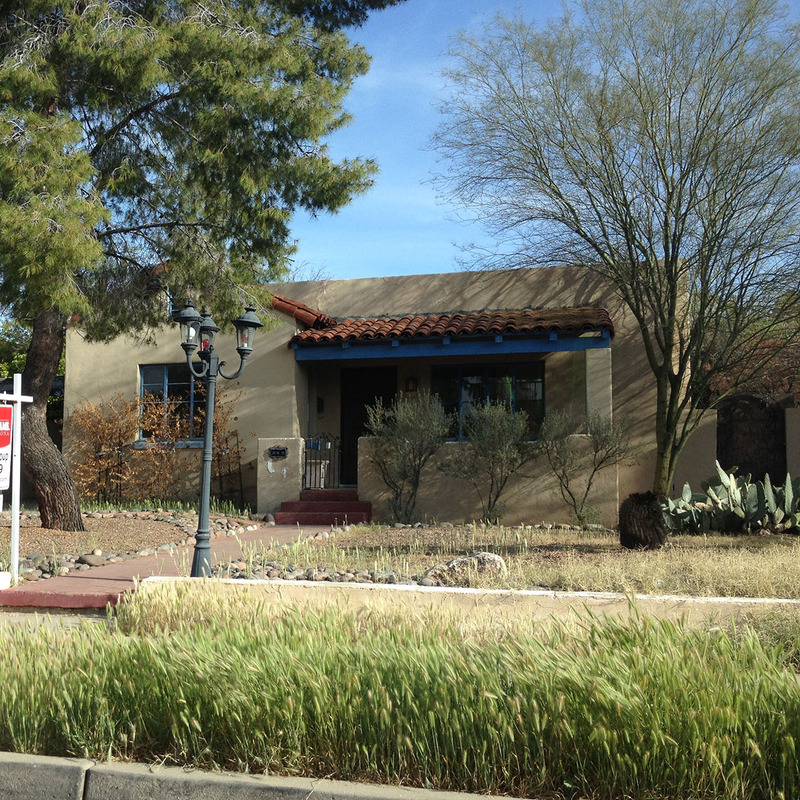 After several “NO” houses, I took Nate to drive by a house that I though looked promising. It turned out to be quite far from our dream house, but on the way there, we passed a house with a gigantic “for sale” sign and noticed a little, tiny “for rent” sign next to it. So we called the number and I went to see it the next evening. Nate was in class, so I went by myself. I liked the house. It was remodeled, clean, and the landlords were super nice. 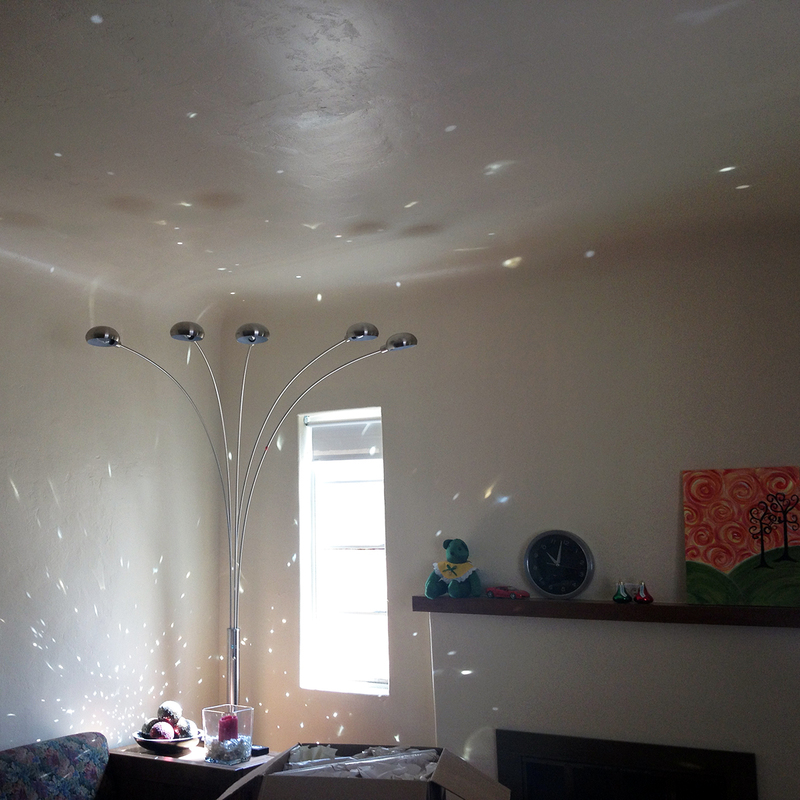 Because the house was also listed for sale, I showed Nate photos online that evening. He first asked me why I hadn’t just signed the papers while I was there, then asked, wait, why are we not looking at buying this house? Well, dear, because we just had this huge discussion about what we wanted to do and where we wanted to be and why we couldn’t buy right now and how we could manage oh whatever should we do. And we came to a conclusion and we’re following that path WHICH DOES NOT INCLUDE BUYING A HOUSE. And really it’s turning out to be a great decision. Of course, there will always be projects and headaches and upkeep, but it’s OURS! And it’s cute, of course.